Today I have the opportunity to open up a blaster of a product that I haven't really gotten the chance to buy heavily into, and that's 10/11 Upper Deck Series 2. This particular product was hard to find when it was first released and quickly went up in price. Those prices have come down a little since then but it is still a product that costs a little more than what you might expect. The main draw of this blaster initially was the Tyler Seguin Young Gun card. He was a very hot rookie in 2010/11 along with others like Taylor Hall, Jordan Eberle, and PK Subban. The previously mentioned rookies had Young Guns in Series One, so to complete the set of big named rookies, collectors had to purchase Series Two in search of Seguin. 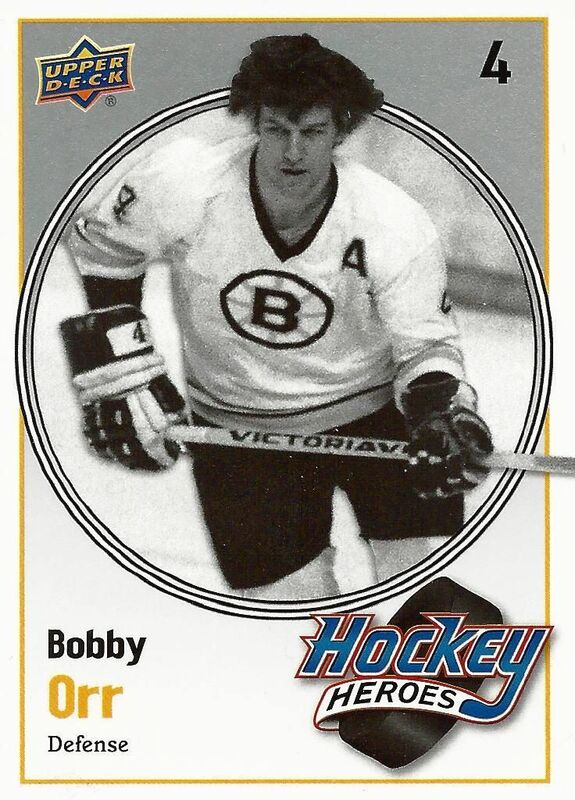 Besides the Seguin Young Gun, you could still find very valuable Upper Deck Retro cards of the rookies that year. Series 2 in particular offered some unique takes on the rookies in that particular set. And of course rookies were available in the form of Victory updates too. Those cards aren't worth particularly much, but it was still fun to pull a big rookie out no matter what. And who knows, a rare parallel could have come out! This blaster didn't have anything huge in terms of big value, but it did have lots of inserts and parallel cards to keep me interested. This blaster gave me the two Young Guns it guaranteed, but unfortunately they are players that have little value. I got Jared Spurgeon and Eric Wellwood. Victory also provided me with rookie cards... but again they are lesser named ones - Jonas Holos, Travis Hamonic, and Anders Lindback. I had quite a few rookie cards in this blaster! But none of them were from the top tier in 10/11. 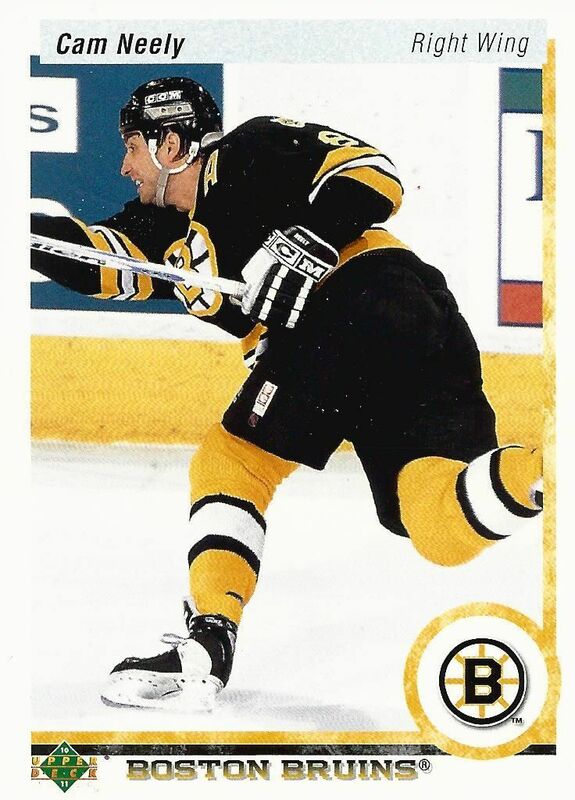 Besides rookie cards I did get one gold Victory base card in the form of Anton Volchenov as well as a few Upper Deck retro cards. These retro cards look like the Upper Deck cards in the early 90's. They are on very thin card stock and give collectors a fun sense of nostalgia - especially for those who collected way back when. Neely was a star player in the 90's so this card with it's 90's themed look is just perfect. This particular card has a very high number so it may be a short print - I'm not sure. Orr is a legend, of course, so I had to put him in the top three. This card comes from when the Hockey Heroes set only focused on one player. Too bad this isn't the header or paint card! 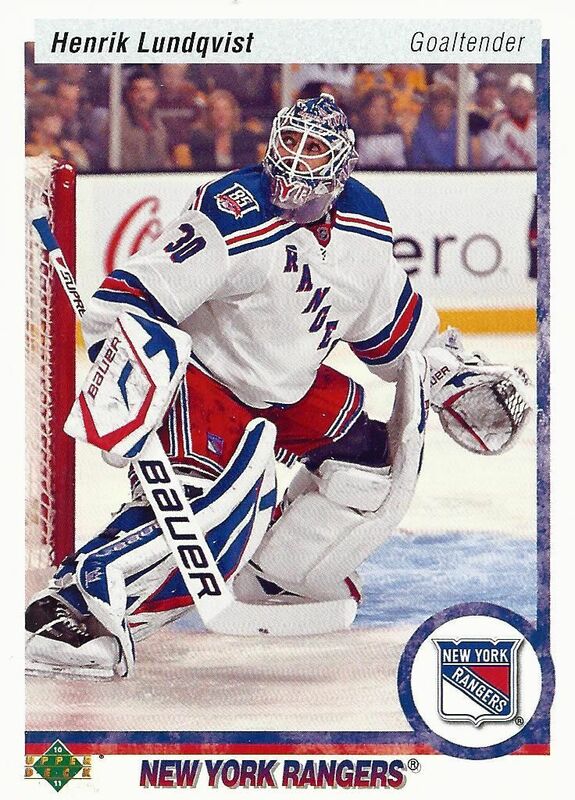 Lundqvist is probably the biggest name I pulled from the inserts I got in this blaster box. I'm sure this card can be had for very little, but it's still a good pull for me. I'm sure I could have done better from other blasters, but this one was a fun break with plenty of interesting cards to see. I'm decently happy with this box, but I hope my next one will yield some cards with more rarity and value. Hopefully I will still be able to find this product though as it is one of the more difficult to locate! If you can find some I'd definitely recommend picking some up. There are plenty of great things to find! 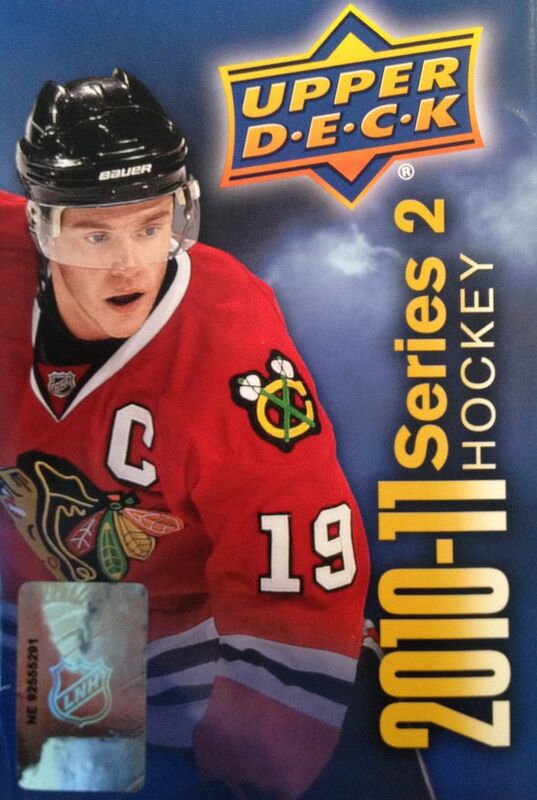 Let me know what you thought of my 10/11 Upper Deck Series 2 blaster in the comment section below. Have you ever pulled anything good out of one of these? I'd love to hear about it. I like the Neely Card - good action shot. I wonder what Lundqvist is looking at - kind of looks like a puck went out of play or he is giving a fan the evil eye.